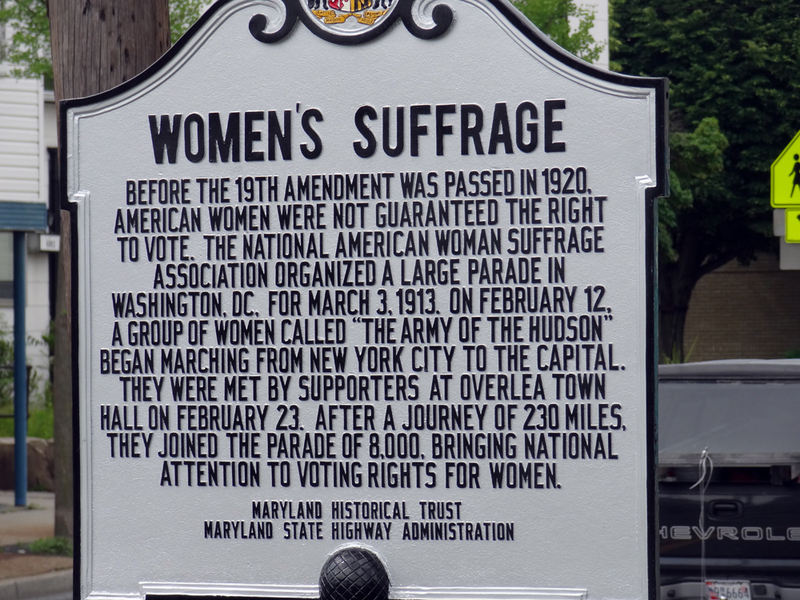 Commission member, Maryland Women's Heritage Center, receives a grant for historic markers to commemorate suffrage in Maryland from the William G. Pomeroy Foundation. For more information, view this press release. How would YOU use the power of your vote? Authorized in July 2013, the Commission on the Commemoration of the 100th Anniversary of the Passage of the 19th Amendment to the United States Constitution seeks to: develop a plan for commemorating the events that occurred in Maryland connected to women's suffrage and the ratification of the 19th Amendment to the U.S. Constitution; assemble an inventory of sites in Maryland that are significant to the suffrage movement; develop a strategy to encourage tourism related to the commemoration; and foster collaboration between federal, state, county and municipal organizations with regard to commemorative programming. The Commission seeks research and volunteer assistance related to all aspects of its mission. Any organization or individual wishing to contribute to the commemoration of the passage of the 19th Amendment in Maryland, please contact your local Commissioner to volunteer information or assistance. On January 16, 2018, The Governor’s Commission on the Commemoration of the 100th Anniversary of the Passage of the 19th Amendment to the United States held their monthly meeting in Annapolis, Maryland. The Commission’s Chair, Major General Linda L Singh, Adjutant General of Maryland presided over the meeting. A special project presentation entitled “The Maryland Women’s Suffrage Movement” was given by Ms. Kathy Rohn, an intern of The Maryland Historical Trust and recent graduate of University of Maryland with a double Master's Degree in Community Planning and Historic Preservation. 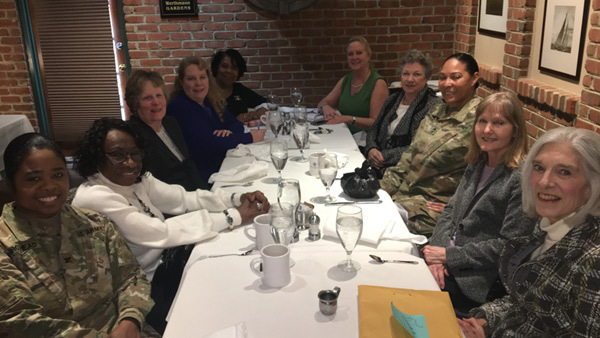 Major General Singh recognized Ms. Rohn for the special research project of the Maryland Women’s Suffrage Movement with the “Challenge Coin” which is given to a Unit Commander or an individual in recognition of special achievement by that individual. Thereafter, the members were invited to attend a session of the Maryland General Assembly. Senator Kathy Klausmeier introduced Major General Singh, Staff and Commission Committee Chairs to the 2018 Maryland General Assembly Senate Session. Following the session, a productive working lunch meeting was held to plan upcoming women suffrage’s movement events. January 16, 2018, monthly meeting in Annapolis, Maryland. Ratified by two-thirds of the states by August 1920, the 19th Amendment to the United State Constitution gave women the right to vote in the United States. This Executive Commission is authorized by Chapter 603, Acts of 2013 (Code State Government Article, sec. 9-300) and chaired by the Honorable Major General Linda L. Singh. Authorization for the Task Force extends through October 31, 2020. To become a volunteer with the Commission, please contact your local Commissioner. 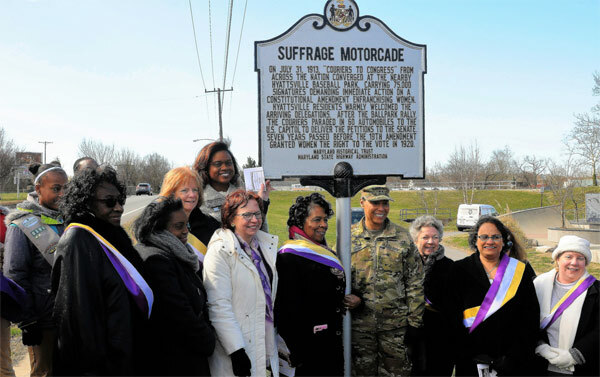 The Commission on the Commemoration of the 100th Anniversary of the Passage of the 19th Amendment to the Constitution in conjunction with the city of Hyattsville, Maryland, unveiled a new highway marker March 3, 2018. 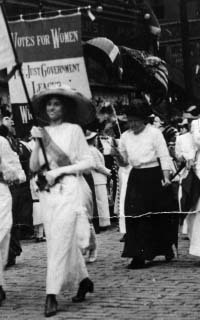 The marker recognizes the couriers to Congress who gathered on July 31, 1913, from across the nation, carrying 75,000 signatures demanding the immediate action on a constitutional amendment enfranchising women. They gathered at the Hyattsville baseball park, now Melrose Park, for a rally. The Suffrage motorcade paraded in 60 automobiles to the U.S. Capital to deliver the petitions to the Senate. The 19th Amendment to the Constitution was ratified in August 1920 and granted women the right to vote. 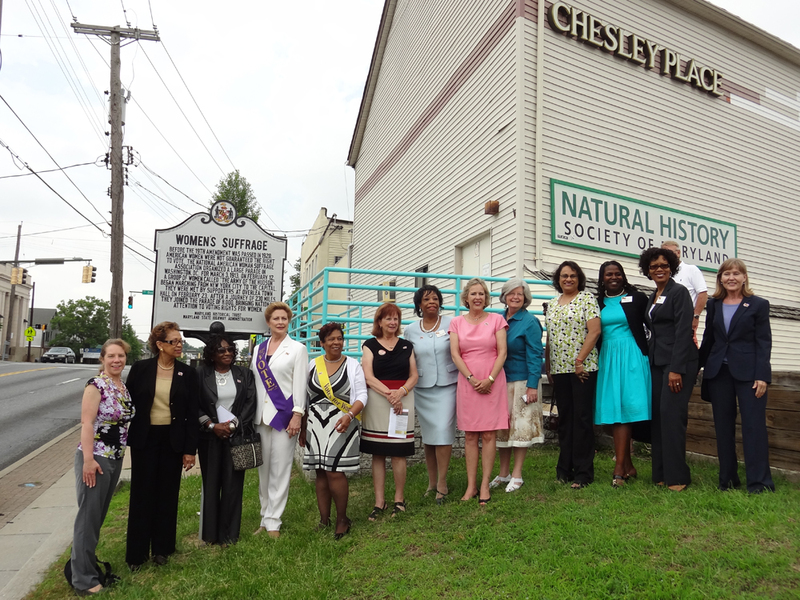 Members of the 19th Amendment Commission and the Maryland Commission for Women at the historic marker unveiling in Overlea, MD on June 9, 2014. Marker in Overlea commemorating historic women's suffrage march through Maryland in February 1913 which was unveiled by the 19th Amendment Commission on June 9, 2014. 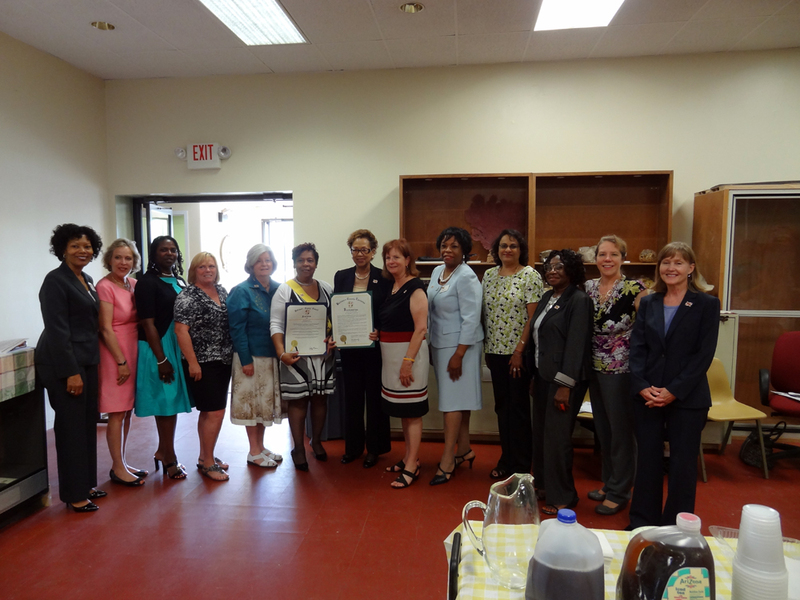 Members of the 19th Amendment Commission and Maryland Commission for Women receiving proclamations during the June 9, 2014 historic marker unveiling ceremony.